* The exams of University Elective Courses will be given on the dates indicated in the academic calendar. The exams for Wednesday classes will be given on the first day and exams for the Friday classes will be given on the second day at the class hour. * The exams of Electronic-Elective Courses will be arranged by the responsible unit in accordance with the exam schedule determined by Distance Education Center. ** There may be differences in the academic calendars of Dentistry, Medicine, Sports Sciences Faculties, State Conservatory, Tourism Schools, Theology Undergraduate Completion Programme, Departments and Programmes Which Have Preparatory Programme and Faculties and Schools Requiring Special Talent Exam. University administration consists of the rector, vice rectors, senate and secretaries general. 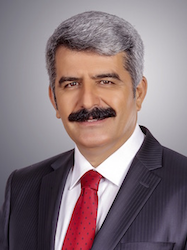 Rector is the highest administrator who is responsible and authorized for executing and developing the educational capacity of the university and the units connected to the university in a rational way and is also in charge of supplying students with necessary social services, and any security precautions in need. The rector executes and supervises the planning phases of scientific researches, education, training, and publication activities in accordance with the state plan, progress and principles. Rector is the highest authority in administrative and scientific supervision; in transferring the missions to sub-units, in checking the outcomes of the missions to be accomplished. The rector being the chairman; the senate consists of vice rectors, deans and faculty members who are elected by the faculty committees for three years, and of heads of institutions and vocational schools. Click to see the senatorial committee members. Secretary General, as being responsible to the rector about the composition and supervision of any type of administrative missions, carries outs his/her mission by making the units under university administrative organization operate in a co-operative, efficient and consistent way in accordance with related laws and regulations and the decisions of board of chairs and the senate. Click for more info about Secretary General Office. Kocaeli University is a state university founded in 1992 basing as per the 3837 numbered law article. Between 1992 and 1999, Kocaeli University performed its education and training activities in the city center and in 15 different districts. After the earthquake in 17 August, 1999, a new campus was constructed for Kocaeli University in Umuttepe. Since 2004-2005 academic year, Kocaeli University has continued its practices at Umuttepe campus. As of 2017-2018 academic year; the education and training activities has been going on with 231 full professors, 214 associate professors, 482 assistant professors, 278 senior lecturers, 158 lecturers, 788 research assistants and 22 specialists; that is 2173 academic staff in total and 1639 administrative staff who work for 18 faculties, 2 schools, 21 vocational schools, 3 institutions. As of March, 2017, 87000 students in total have been continuing their education and training activities. As of 2014-2015 education and training year, Kocaeli University has been offering education and training activities with 44 third cycle (doctorate degree), 83 second cycle (master's degree), 90 first cycle (bachelor's degree) and 103 short cycle (associate's degree) programmes, 320 programmes in total; Please click for more info on degree programmes. Students graduated from vocational highschools are admitted to the programme without an examination score requirement if only it is related to the field they graduated. 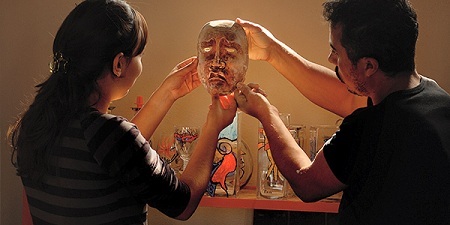 The list of the programmes that admit students with aptitude tests based on the regulations determined by the related units with the approval of University Senatorial Committee are as follows: Faculty of Fine Arts; Dramatic Writing, Photography Graphical Arts, Acting, Sculpture, Painting, Stage Design, Ceramic, Musicology, Performance(A.S.D), Faculty of Communication; Department of Visual Communication Design, School of Physical Education and Sports, Trainer Education, Recreation, Sports Management, General Musicology, Guitar, Violin, Clarinet, Composition, Double bass, Piano, Trombone, Turkish Folk Music and Cello. Applicants are required to have a minimum score of 50 from UDS or KPDS (Governmental Foreign Language Proficiency Test) in one of the English, French or German languages; or must have an equaling score from the exams specified by the Committee of Higher Education. Applicants must have a minimum score of 50 from UDS or KPDS (Governmental Foreign Language Proficiency Test) in one of the languages of English, French or German; or must have an equaling score from the exams specified by the Committee of Higher Education. With undergraduate degree applications, applicants should have a minimum score of 70 from ALES in the test type of the programme applied for; or an equaling score from GRE or GMAT. With TUS (National Test of Speciality in Medicine) score applications to Health Sciences Institute, minimum basic medicine score of 50 is required from TUS for the graduates of Faculty Medicine. Holding either a bachelor's or a master's degree. 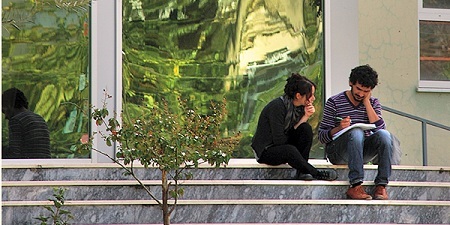 The applications of international students from countries that have a cultural agreement with Turkey, or from Turkish and Relative Communities are evaluated by taking the reference letters, grade point average, the courses they have taken during their master's studies or undergraduate studies and other personal documents into consideration by the related main branch directorate and the applicants whose scientific proficiency level is evaluated as "satisfying" may be accepted to masters programmes they applied for. The foreign language for international students is Turkish. The foreign applicants who get the required score from the Test of Turkish Language Proficiency, conducted by an academic jury of three, who are chosen by the board of chairs of the related institution, are eligible to continue the master's or doctorate programme. The ones who fail the language exam are considered as "on leave" for one year in order to learn Turkish language. Students who fail Turkish Language Proficiency Test within one year's time lose their registration right to masters or doctorate programmes. In addition to the Turkish Language Proficiency Test, foreign applicants who apply for programmes where the medium of instruction is another foreign language are given an oral exam in that language as well. The applicants who fail in this exam are given one year's time to improve that language. The applicants who fail the language test in the given time lose their registration right. There is a requirement of ALES for international students with an undergraduate or master's degree; however there is no requirement for a minimum score of 55. There is no ALES requirement for international students holding a bachelor's or master's degree from foreign universities. There should be a valid bilateral agreement between the institution of the applicant and Kocaeli University. The administrative operations of the exchange students are carried out by International Relations Unit. All documents are to be typed and necessary parts should be approved by the institution of incoming students. Detailed information and necessary documents are announced on the "Documents" page of International Relations Office web site. Apart from Erasmus, student or staff exchange is possible based on mutual agreements and regulations determined by protocols. The prior learning of incoming students is recognized on the basis of relevant regulations of Council of Higher Education and under the coordination of the Adaptation Committee. 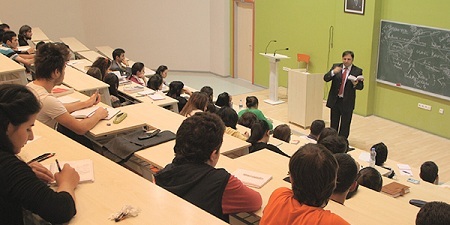 Turkish and international students who want to make a lateral transfer to the University of Kocaeli are subject to "The Transfer Regulations for Associate and Undergraduate Degrees, Double Majors, Sub-specialties and Credit Transfer Regulations among Institutions"
The transfer among the degree programmes of different higher education institutions or within the same degree programmes of a higher education institution is only possible within the quota specified and the transfer conditions announced in advance. The criteria which will be used in the evaluation of applications of lateral transfer and necessary minimum conditions for lateral transfer are determined by the Senate of University of Kocaeli. The committees set by the related board of chairs pre-evaluate the applications in the framework of the principles determined by the senate. 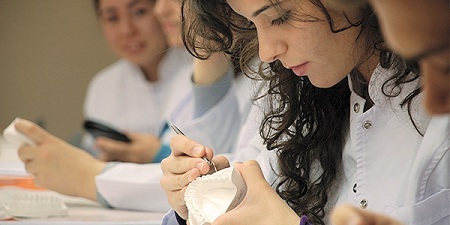 The applications are assessed by the criteria determined by the Kocaeli University Senate, taking the applicants GPA, the placement grade for transferring to the programmes in different fields and the success in the common subjects if there is any into consideation, and transfer is enabled within the quotas allocated. Transfer is not allowed in the first and last semesters of associate programmes; and in the first two and last two semesters of bachelor's programmes. Lateral transfer is possible to equaling degree programmes either to different faculties, vocational schools and schools in the same university or, to the programmes in the same faculty, school and vocational school within the quota specified by the related committee. Related commissions, taking the student's prior learning and the courses a student has taken into consideration, determine which semester or which class a student should be adopted referring to the regulations made by the Senate and specify the exemption of courses and an orientation programme with the additional courses to be taken if there are any. In the application process, it is obligatory to certify the language proficiency level with required scores from the exam held by the related higher education institution or; internationally or nationally recognized language proficiency examinations in order to transfer to higher education institutions where medium of instruction is partially or fully a foreign language. A quota is allocated in the undergraduate programmes for vocational school graduates to enable them for vertical transfer to continue their education as a follow-up of the programmes they have graduated. The programmes to be admitted, the graduates of which departments of vocational schools can apply, what the quota for these bachelor's degree programmes are, and the score types to be used in the placement of graduates of vocational schools for the students who meet the requirements for application to the bachelor's degree programmes are determined and announced by the Council of Higher Education in accordance with the opinions and suggestions of the higher education institution that external transfer will be made to. Every year, a guideline is prepared by the Student Selection and Placement Center (OSYM) specifying the possible bachelor's programmes for vertical transfer, the quota allocations and the requirements for these programmes for the graduates of associate programme, for the graduates of distance learning programmes (AÖ) and for the students in their last year of education who meet the requirements for graduation except for practice. Applicants are given a test of two parts as; verbal and science reasoning. For the placement, the exam scores and the cumulative GPAs are taken into consideration. The score of Vertical Transfer Exam is calculated by adding the GPA of the student by OSYM (Student Selection and Placement Center) and it is announced in the guideline of Vertical Transfer Exam. Students admitted to a bachelor's degree programme are offered a "Scientific Adaptation Programme" before they start their further studies. It's necessary that the programme the students enroll and the programme to be transferred hold the same name, have at least 70% equivalence in terms of course syllabus and objectives, and is available for admission. The applications for lateral transfer should be suggested by the committee of main science/ main art branches and should be approved by the board of directors of the institute. The quota suggested by the academic committee of main science/art branches is announced after the approval of the directors’ board of the institute. Depending on the Learning Agreement of a student leaving for his/her Erasmus study period at host institution we guarantee in advance that all credits gained and courses received at the host institution will be fully recognized and transferred into Kocaeli University system and upon his/her arrival, “Erasmus Credit Transfer and Grade Equivalency Table for Erasmus Students” is duly prepared and approved by the authorities and the student (Erasmus Departmental Coordinator, Head of the Recognition Commission, Head of the Department, Dean of the Faculty and Erasmus Institutional Coordinator) so as to transfer all ECTS credits gained abroad in the approved programme of study and the courses with their original titles and course codes (if available) as in the Transcript of Records issued by the host institution. If there is no course codes then the courses are indicated with ERSXXX [X refers to any number]. “Erasmus Credit Transfer and Grade Equivalency Table for Erasmus Students” is a document which ensures full academic recognition which means that the study period abroad (all of the courses achieved with their ECTS credits and ECTS grades and learning activities) replaces a comparable period of study at Kocaeli University (the courses and learning activities which the student is exempted from in exchange for the courses he/she received abroad). The failed courses are not indicated with their original titles, ECTS credits and ECTS grade but rather with their equivalents at Kocaeli University so that the student can compensate them in the next terms without having any gain or loss in terms of ECTS credits. While preparing the" Erasmus Credit Transfer and Grade Equivalency Table" the ECTS grades are transmitted to Kocaeli University grading system according to the list below. For Erasmus students Conditional Grades (DC, DD for Bachelor’s Degree, CB, CC for Master’s Degree and CB for Doctorate Degree) are automatically transferred into FX ECTS grade. Incoming and outgoing students at Kocaeli University are provided with a "Transcript of Records" showing their ECTS credits and ECTS grades on completion of their study. * These grades are transferred into the highest equivalent grade at Kocaeli University. FX grades are regarded as "Conditional Pass" by Kocaeli University depending on the semester grade point average of a student. Turkish higher education institutions are in the start-up phase in this issue. However, computer and foreign language skills that students improve on their own are evaluated through exemption examinations by the university. Students who prove to be proficient in these exams are exempted from related course(s). Each academic year begins on the date determined by the University Senate. One academic year consists of two semesters as fall and spring semesters. One semester (including final exams) lasts for 15 weeks. 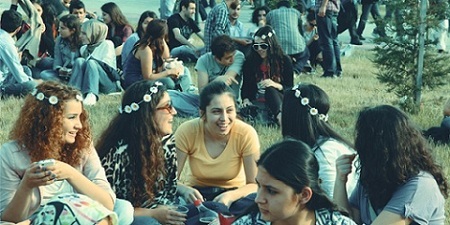 Students, who are eligible to register at Kocaeli University, are required to submit the necessary documents to Student Affairs Offices for the academic units which require the registration documents within the dates announced by the Registrar’s Office, while other students register using the e-government registration system. Students who register for the first time are given a student number. The students who have completed the registration process can make their course enrollment through the student information system between the dates indicated in academic calendars. ECTS is calculated according to the total time required to achieve expected learning outcomes, including all planned activities such as seminars, field studies, individual studies and examinations, etc. At Kocaeli University, one full academic year includes two terms with an ECTS credit of 30 for each. 1 ECTS credit is equal to 25 hours of student workload. Accordingly, the workload for a student for 1 academic year is calculated as 1500 hours. The learning outcomes of each course are determined by Committee of Department/ Program Development and Evaluation and lecturers of that course. Each learning activity and required time for it is determined by ECTS coordinators and lecturers of the course. Learning activities, their counts and durations in the ECTS Workload Engine, which is available in the information system of 'Reconstruction and Quality Process in Education at Kocaeli University', are entered by ECTS coordinators. Depending on the total workload required for each course, the ECTS credit of each student is calculated via ECTS Workload Engine where the activities are entered by the relevant lecturer. The equivalence of the ECTS credits and the local department/ program credits are provided by the coordinator of that course. The validity of the workloads is evaluated via student questionnaires. GPA and CGPA of students are calculated on the basis of ECTS credits of courses. Below is the sample ECTS workload chart used in calculation of ECTS credit allocations. An academic advisor is appointed for each student at Kocaeli University with regard to the related bylaw. The advisor appointed among the instructors by the head of the related department/programme, guides the student on the following points that are mentioned in Kocaeli University Student Advisory Application Guideline from the very first day of registration until graduation. guides students under his/her responsibility through course selection procedure. informs students about foreign language placement and proficiency tests at the beginning of each academic year. informs students about the supplementary resources regarding the financial support, health issues and scholarships. informs students about bylaws and directories. holds at least one meeting for each semester with the students under his/her responsibility, listens to their problems and reports the outcomes of meetings to the administrator of the related unit. deals with the students' educational, emotional, economic and social problems throughout their education. encourages students to take part in social activities in a more effective way in or out of the school. informs students about the conferences, seminars, panels and such activities so as to promote their academic progress. raises awareness about further studies and academic career. informs students about life after graduation in terms of professional enterprise. observes the adaptation of students to the campus, course attendance and their academic standings. For students of non-thesis master's programmes; an academic advisor is appointed and gives students guidance at the beginning of the second semester at least, and for students of master's programmes with thesis, an advisor is appointed throughout the process of their thesis.